WHY DANCE LOUISVILLE SO POPULAR? Because we absolutely, love what we do. We live to bring dance into peoples lives. We help introduce kids to dancing in a positive fun way. As a team we get to work alongside our fiends and family doing what we love. 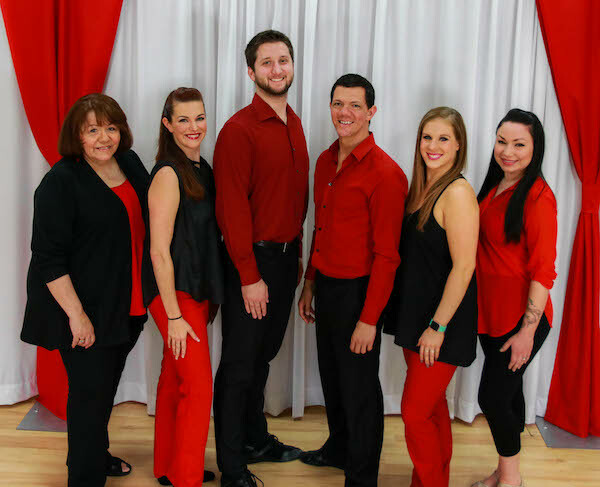 (we’re a family business at our core) We provide the opportunity for kids (and adults at our ballroom dance studio) to become who they were meant to be. It’s our goal to teach life lessons through the joy of dancing. We will be encouraging but not pushy while remaining respectful of everyone as an individual. Dancing has meant a lot to each and everyone one of us and we want to share it with your children! We have earned the trust of our community… which is invaluable to us. It’s taken us a long time to build our reputation and we want to continue that by making your family a raving fan of our Junior Academy. We aim do our very best at every turn. Sure our teachers have each had their time to shine (with the trophies and championships to prove it) but that’s not what it’s all about. It’s about sharing with our community and doing our very best for every single child. We value the opportunity to share dancing with as many kids in Louisville as we can. Thankfully… over the years people like you have made us the #1 dance studio in Louisville. People just like you have entrusted us and we are honored that you have. Although our staff has traveled the world sharing the love of dance, the work we do in our local community of Louisville Kentucky is closest to our hearts.